Starbucks is leading the way in offering adaptive technology to its customers. 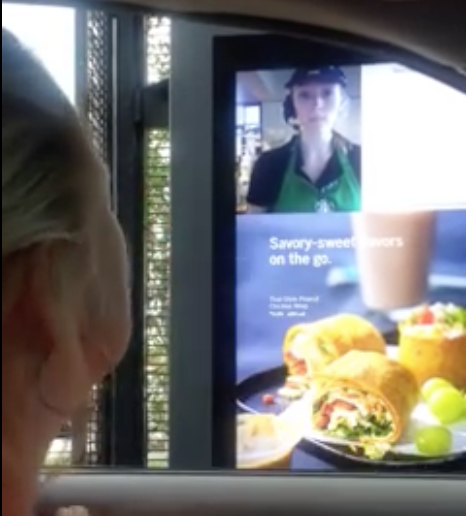 In a Facebook video shared on Tuesday, 28-year-old Rebecca King of St. Augustine, Florida, can be seen engaging in video-transmitted sign language at a Starbucks drive-thru. King, who is deaf, orders her coffee using ASL and a barista named Katie Wyble responds. Via Rebecca King’s Facebook video. Wyble is a 22-year-old college student who’s been studying ASL since high school, Action News Jax reported. Wyble says she’s glad the video is gaining a lot of media attention. The store’s assistant manager, Erin Berkner, said in a statement that four of the baristas working at this location know ASL, BuzzFeed reported. The store is near the Florida School for the Deaf and Blind so it has worked to accommodate these customers. The Mighty contact Starbucks for comment and more information on the use of this technology, but are yet to hear back.